The symbol of the heart applies to more areas of our lives than we are aware of, once we start thinking about it, and in regard to heart tattoos, that is expressed in a variety of ways. There is of course the obvious love aspect of the heart, usually expressed with the initials of the two that are in love. But sometimes they are inked on including the names themselves. As far as the names and initials go, I would highly recommend not including them with a heart tattoo, as there are a lot of people, after they discover a relationship isn't going to work out, are extremely sorry for having inked the name and heart onto their skin. If you have to do something like that, just have a heart inked on and have tell them it's all about them. It'll save you a lot of disappointment and wanting to kick yourself for doing it if the relationship ends with the name of the person embedded in your skin. 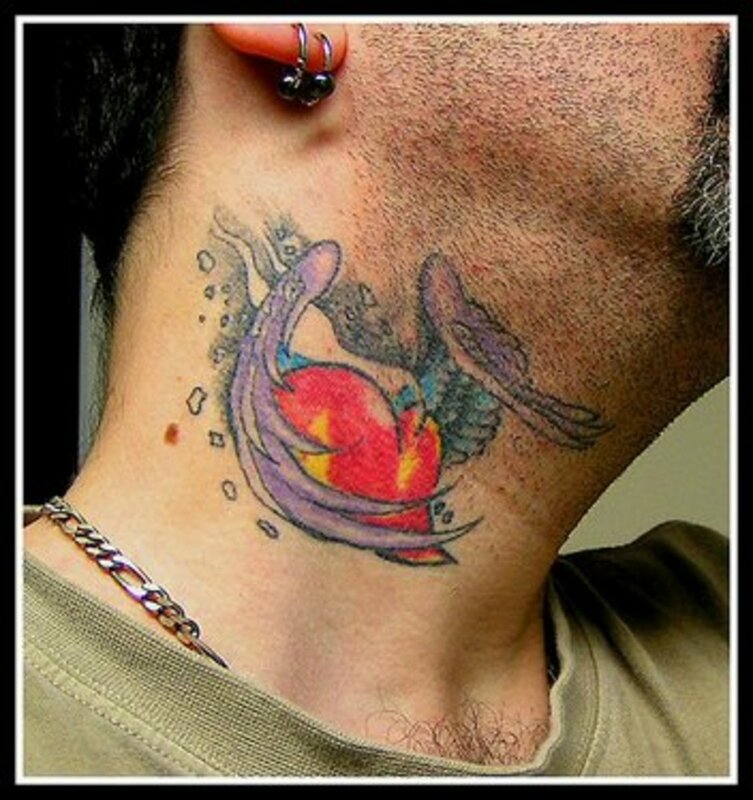 Other ways a heart tattoo is expressed is toward a parent, child, or loved one that has passed on. In those cases, nothing can change who those people are to you, so names in that case would be more relevant, permanent and appropriate. Some elements added to a heart include banners, which are used to put names or initials on. 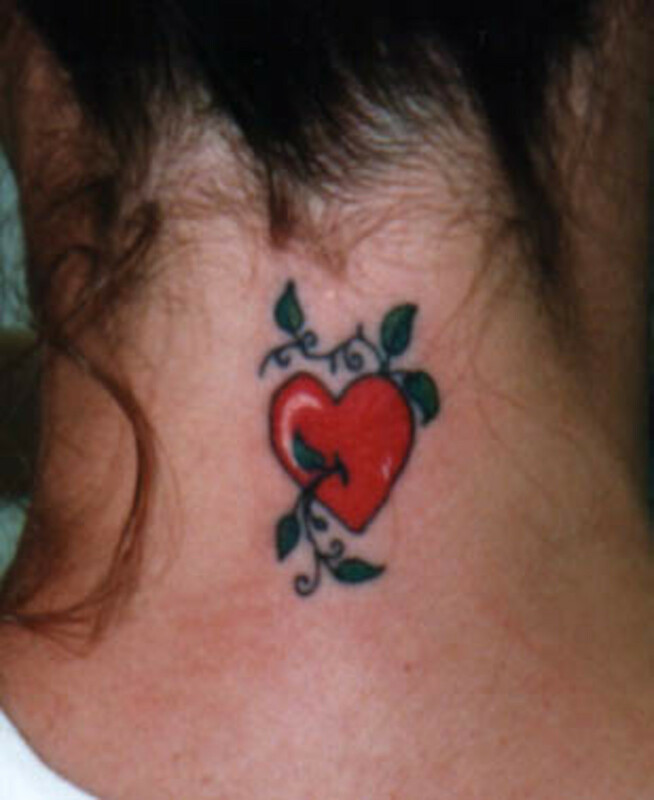 Hearts and roses, which are used to symbolize love in a variety of ways (not just romantic), are another very popular design among tattoos with hearts. 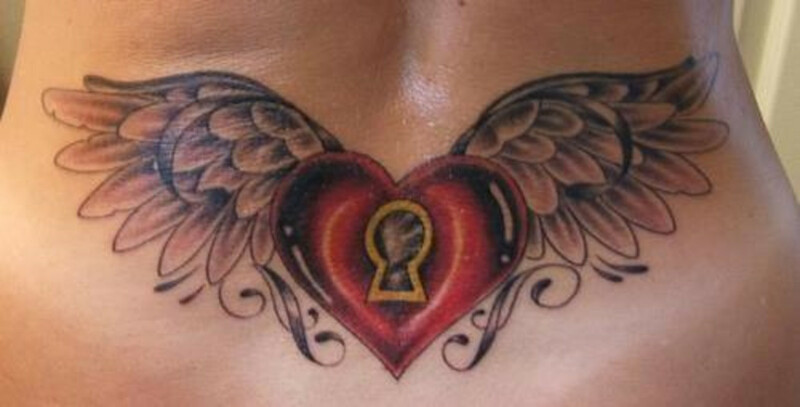 A keyhole is also important to the heart tattoo, as it tells everyone someone holds the key to their heart. Finally, and sometimes in strange ways, there are those who portray their broken heart, and in some cases it can be quite disturbing in the way that is expressed, as you'll see below. 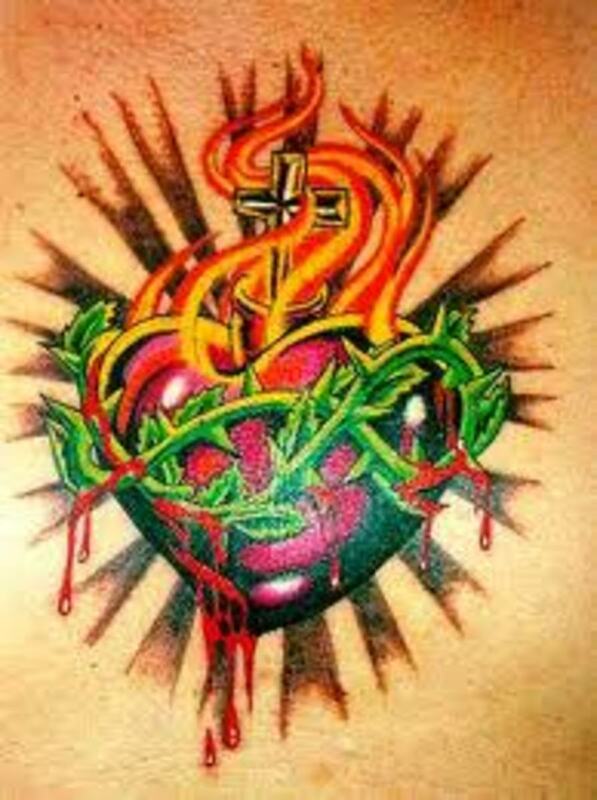 In the end, the heart represents love in all its facets, and tattoo designs are available to all those who want to immortalize it on their bodies. 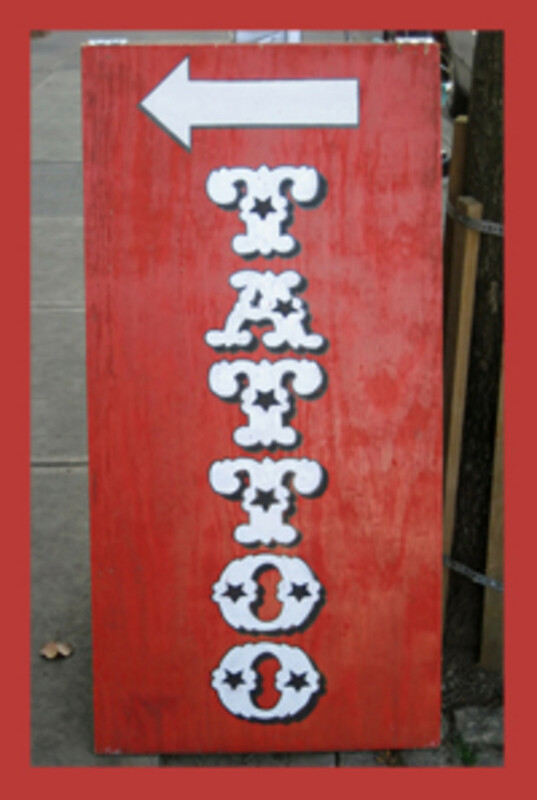 I thought we could start off with our look at heart tattoos with one including a name. 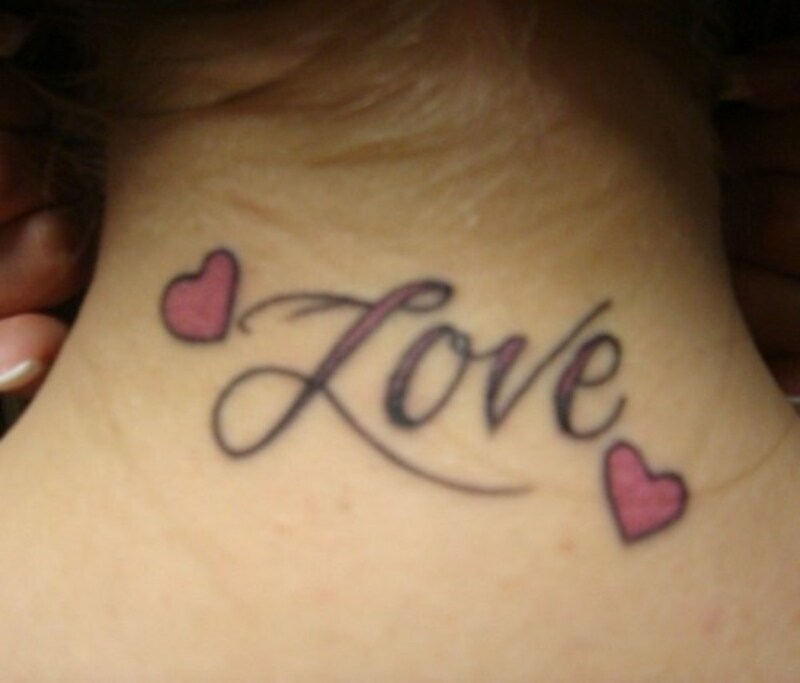 As mentioned above, if a name is tattooed on of a sweetheart, that's usually not a good idea, as we know that love can be fickle and short-lived, and very quickly you can regret having it on your body. If it's a name of a loved one, like a family member you lost, or of a family member you want to pay homage to, a name can work. It's not the name that's the problem, it's why you put the name on. 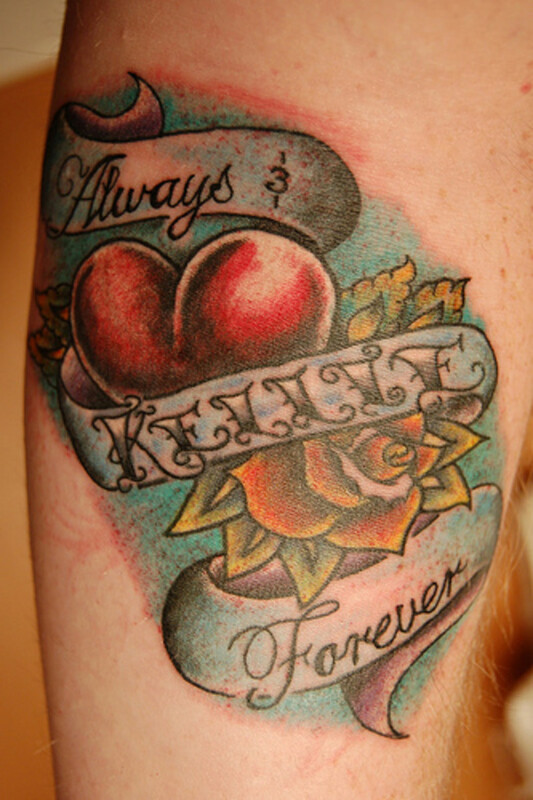 Also think twice about tattooing a former spouse that may have passed away. While a nice gesture, for most people life will go on with someone else, and it can be an obstacle for some who see the name of a former lover looking at them every day on your body. When looking at this heart tattoo on the neck below, what's important is its simplicity and the fact it can be applied to whoever you want. It's cute and looks nice, and the font in the lettering goes with the heart theme. That's something to remember with a heart tattoo. 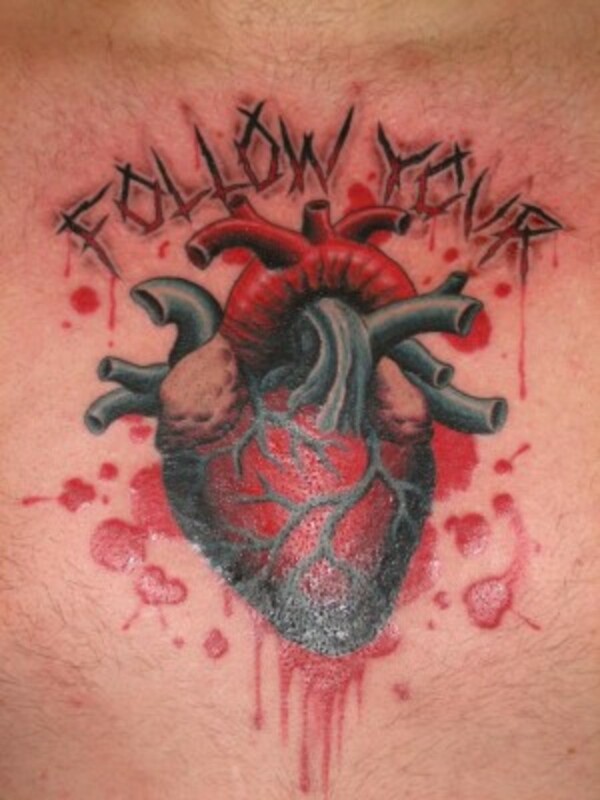 If you're going to include lettering, be sure to have a type that goes with the particular reason you're having the heart tattoo inked on you. Another big part of the heart tattoo is the inclusion of wings as part of the design. It appears it represents the loss of a loved one; either through death or through them moving on. In other words, part of your heart has left you resulting in loss. As for the neck placement below, that is a little too much, and would be a definite negative for someone placing it so prominently. 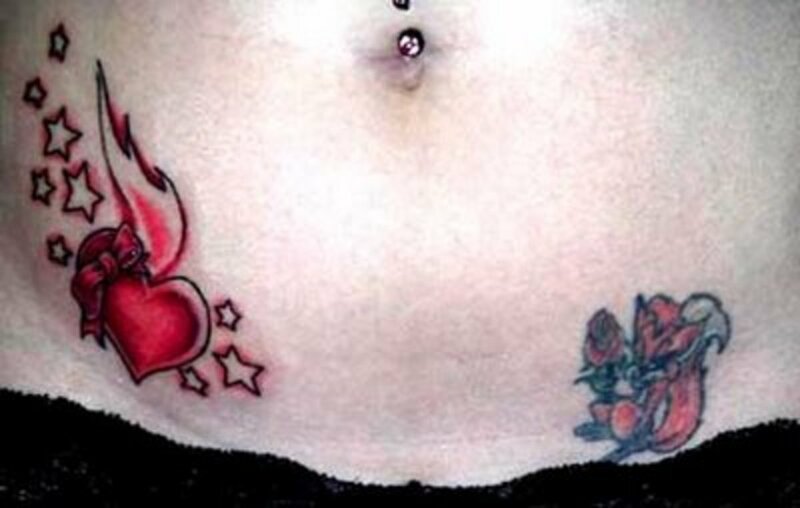 The example of the heart with a rose tattoo below is nice. 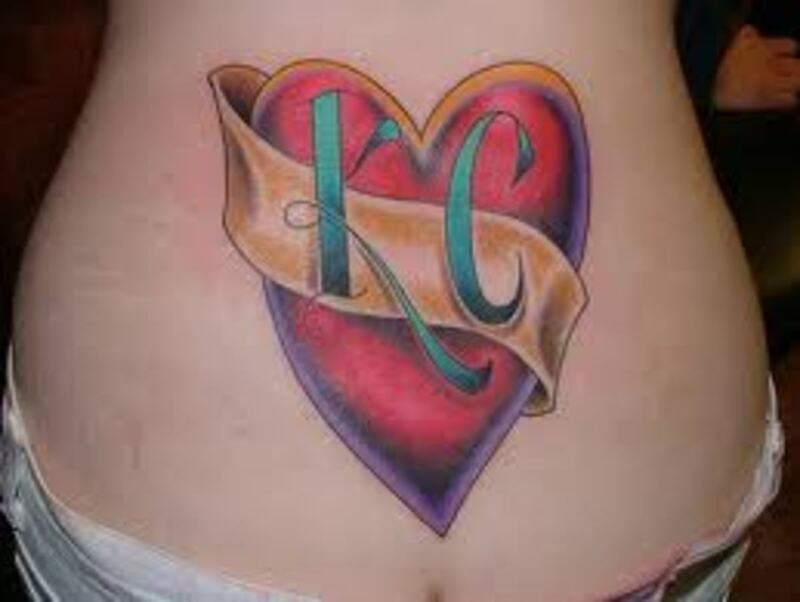 I like how they're separated on the body, and the inclusion of the ribbon on the heart is great. And the stars? They are also a consistent part of the heart theme, although I'm not sure as to the reasoning there, unless it's representative of someone having left this world, when included with the wings. Here's another heart with wings tattoo design. I really like the addition of the key hole, which implies someone holds the key to their heart. It's amazing to me how a simple design like this can say so much to the realities we as humans experience. While there are a number of broken heart tattoos people choose, most of the time it's expressed with the heart shown in two pieces. With the two below, it seems the there was an extreme situation or response to the situation. Both cases would make me be a little worried about the one using the imagery they've chosen. All the daggers in the heart in the bottom photo are especially disturbing. I included them because art and design can be disturbing, and it doesn't always show the positive side of human life. 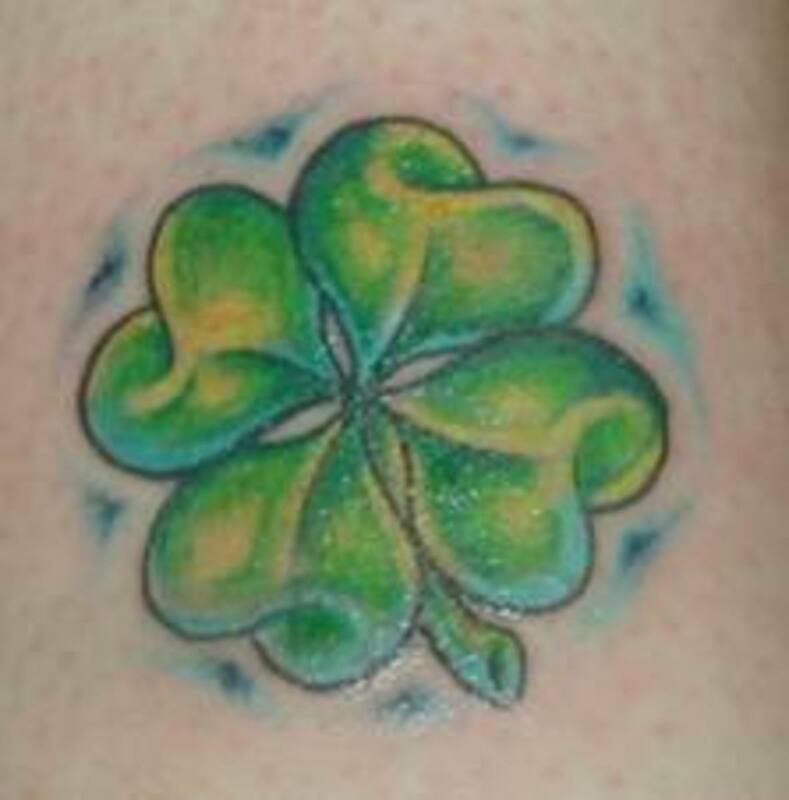 This is a very interesting tattoo below. It has some interesting contrasts that I thought it would be a good example of some of the good and bad of design. First of all the theme and message are great. Most people could relate to it easily. What is a problem to me is not just having a symbol of the heart rather than an image of the actual heart pumping in your body. The heart is more than an organ in the body, and in that case I think this image misses it. It doesn't go with the winsome hearts surrounding it. Second, in a nod to what we mentioned above about fonts, this is a good case of what not to do. The font looks like something you would use with a haunted house or horror theme, not something related to following your heart. The two just don't go together. An interesting but strange tattoo design. 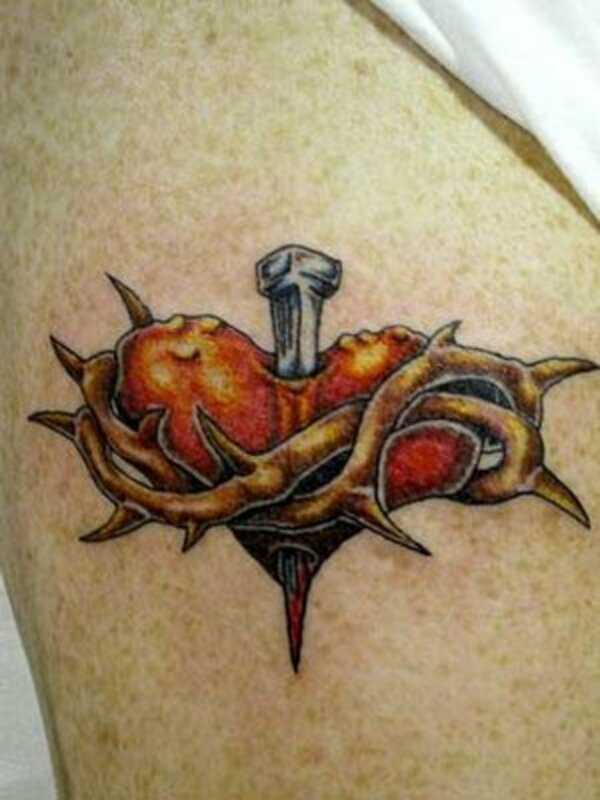 This is a very cute heart tattoo, and the vivid red color with the scrolling vine through the heart is great. What is good about this neck tattoo is it can be covered up like tattoos behind the ears can be, so if you choose to show it you can, or you can hide it with your hair. Options are always nice with permanent ink. As love is the most important part of humanity, and hearts are used to express that reality, there can be a lot of passion, as well as joy, when they're being designed. Love covers loss, gain, passion, fun and playfulness, among many emotions and feelings. Heart tattoos, as with any art, expresses all of that and more through the many designs artists choose to make and people choose to wear.